It is the summer of 1976 in Oxfordshire, England, and someone is trying to kill Sally Gilmartin. The only person she can trust is her daughter, Ruth, a young single mother struggling with her own demons. Now Sally must tell her daughter the truth: She is actually Eva Delectorskaya, a Russian émigré recruited for the British Secret Service in 1939. Please, Audible, let us have more books by this author. 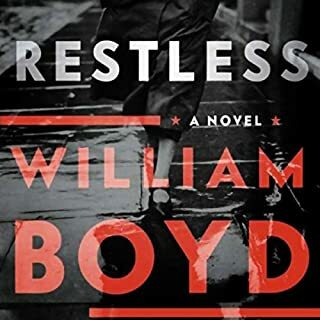 This superb story of British secret agent activity in the US during WWII was one of the best boooks I have read in years. Its gripping tale held my attention from cover to cover. It was finely constructed and brilliantly written. This is a really super summary of ancient Greek history. 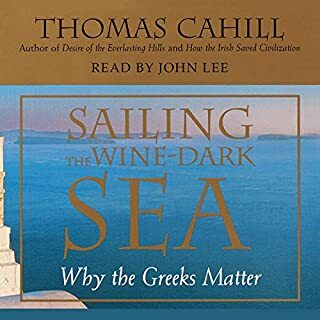 While thoroughly entertaining and educational, it allowed me to put into perspective all the scattered information I had gathered through a lifetime about classical Greece. Finally, I understood the mythology and the Greek writers and philosphers. All the bits of information I had never really understood came together and made enjoyable sense in Cahill's terrific book.